From time to time, we take some extra time to publicize what we think are worthy walking or cycling or transit-related events around the area. 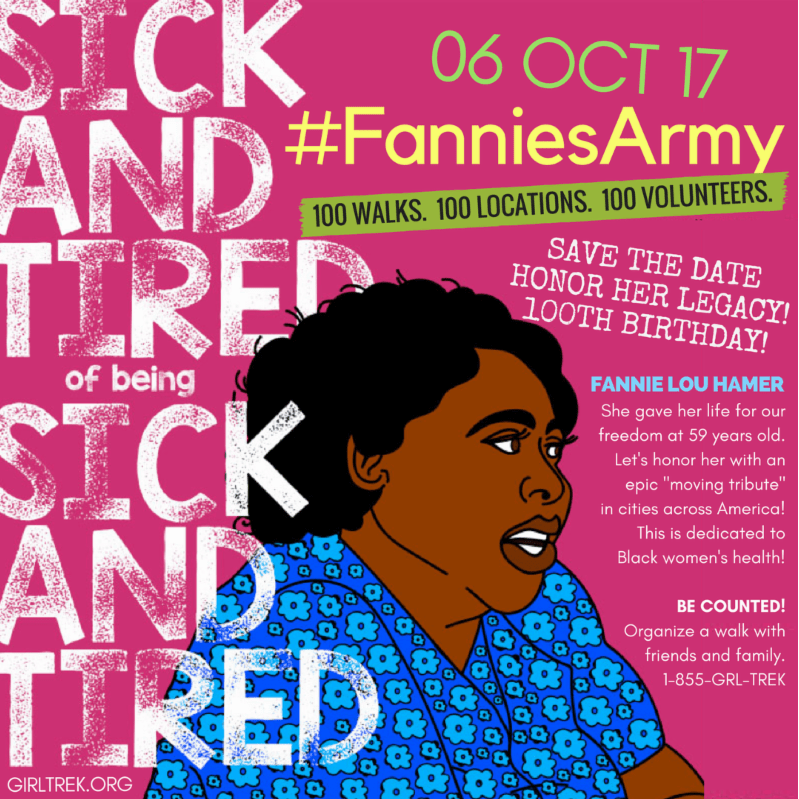 There’s one of those coming up next month with GirlTrek Boston’s participation in the Fannie’s Army series of walks to celebrate the 100th anniversary of the birth of legendary civil rights (especially voting rights) activist Fannie Lou Hamer. Here’s information on the walk and how to sign up. The walk will be from 6 to 8 pm, starting and ending at the Roxbury YMCA at 285 Martin Luther King Boulevard. Note that participation in GirlTrek walks is limited to women (though you need not be a GirlTrek member).